If practice makes perfect, then five rigorous days a week in the gym made Alfred Jochim the nation’s most dominant gymnast for two decades. Jochim is the only U.S. gymnast to ever compete in four Olympic Games, collecting two medals along the way. 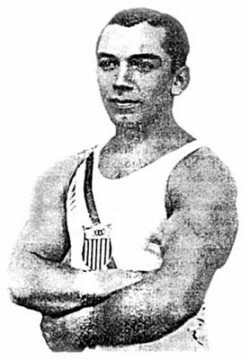 During his career, he won 35 National AAU titles, including three all-around. Known for his work ethic, Jochim’s lengthy career and success he showed for it made him one of the country’s all-time best as he was honored in the USA Gymnastics Hall of Fame’s inaugural class.